The high density of population and increasing world population as well as diet change are asking for high and increasing food procuction. Thus, the unproportional distribution of necessary resources is a crucial issue at the global level. Especially the available cropland per capita shows great disparity among countries, which can be reflected in consumption rates: While China has only 0.08 ha per capita of available cropland, leading to a consumption rate of 785 kg*yr-1 of agriculture products, U.S citizens have 0.5 ha per capita resulting in a consumption of 1,481 kg*yr-1. This situation constitutes a bottle neck for China in the challenge of satisfying their great demand of agricultural products on a very limited extent of arable land. Under consideration of these facts, vegetable gardening is one promising approach addressing the challenge of producing a great amount on a relatively small area. However, Chinese vegetable growers routinely apply large amounts of organic manure as well as chemical fertilizers, with total phosphorus (P) application rates exceeding P removals by several folds in harvested produce. These high application rates have two negative aspects. They led to negative impacts on a large share of inland lakes, which have been exposed to eutrophication as well as to an economically inefficient use of fertilizers concerning small-scale farmers. Due to this, China is not only the largest phosphorus user, but also the largest producer. The country holds about 20% of the world population, yet consumes 40% of world fertilizers. In accordance to its exposure, China plays a key role in the discovery of efficiency increasing technologies and procedures in P management. The Mutual-Learning Session (MLS) 1.4 of the Global TraPs world conference on innovations on P management in Dashigezhuang village focuses on the P (over) use of small-scale vegetable farming. Accordingly the following key questions are about to discuss: “How to improve P fertilizer use”, and “how can small-scale farmers benefit from collaboration with science in particular transdisciplinary processes or the backyard approach”. 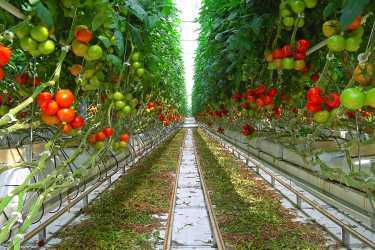 For that reason the MLS is structured in two parts: First, a visit at a small community in the vicinity of Beijing to get a direct impression on how the vegetable production and use of fertilizers look like. Second, a depth discussion aligned with the key questions that shall lead to the main objective of the MLS - innovative approaches of P management in the vegetable base of Dashigezhuang village.